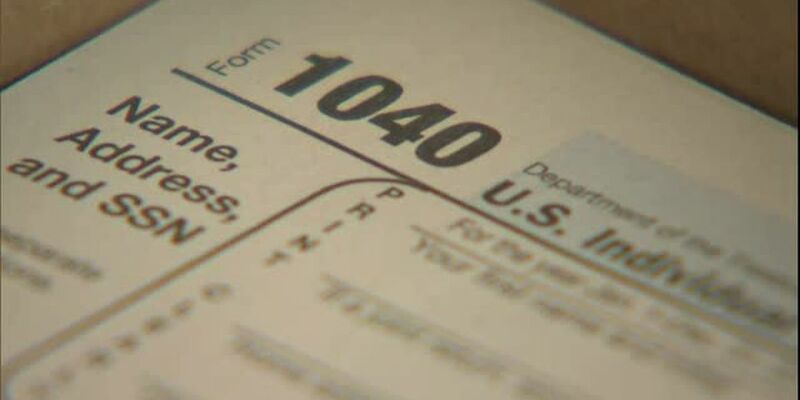 (WWBT) - Whether you owe money or got a refund, several businesses have several deals and freebies up for grabs on Tax Day. 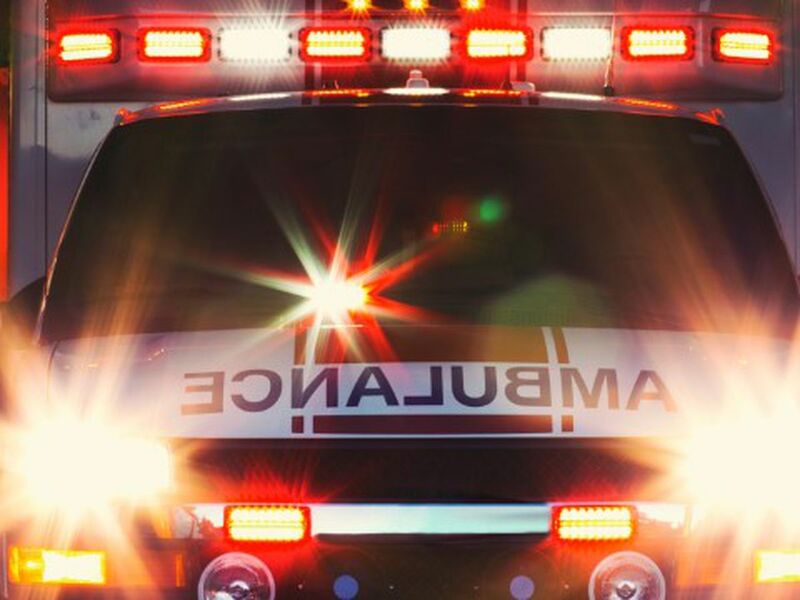 Most of the deals only last on April 15, but there are a few exceptions with longer running deals that are being offered. Great American Cookies: Get a free chocolate chip cookie when you stop by participating locations on Tax Day. Hardee’s: The chain is offering a free sausage biscuit from 7-10 a.m. on April 15 at participating locations. Make sure you say “made from scratch” when ordering to get the deal. Hooters: Kids eat free with a purchase of $10 or more from an adult April 14-17. Kona Ice: Get a free cup of tropical shaved ice. Office Depot/Office Max: Get five pounds of in store shredding through April 27. Click here for the coupon. Planet Fitness: Members and non-members can use HydroMassage chairs through April 20 with a coupon. Click here for the coupon. Applebee’s: The restaurant chain is offering a $1 strawberry dollarita as its specialty drink of the month. Find a participating location, here. BJ’s Restaurant & Brewhouse: Get half off any large deep dish or Tavern-cut large pizza. Boston Market: Get a half chicken meal and drink for $10.40 on April 15. 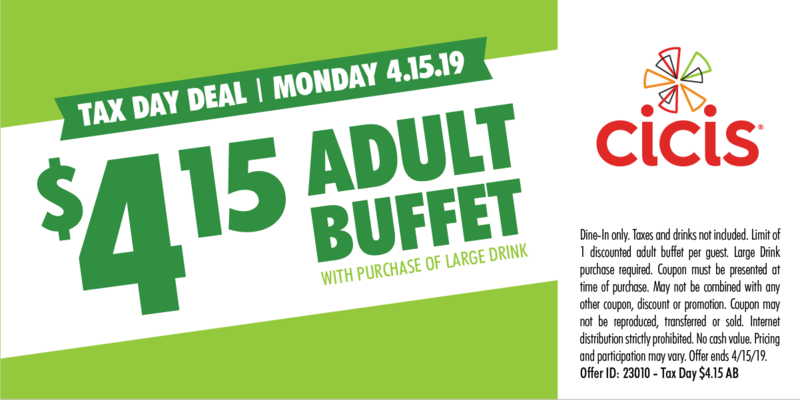 Cicis: Adult buffet meals are only $4.15 with the purchase of a large drink. Get the coupon for the deal, here. Corner Bakery Cafe: Monday-Wednesday, get two entrees for $10.40, dine-in only. Dunkin': DD Perks members can get a medium hot or iced coffee. Sign up for the DD Perks program, here. 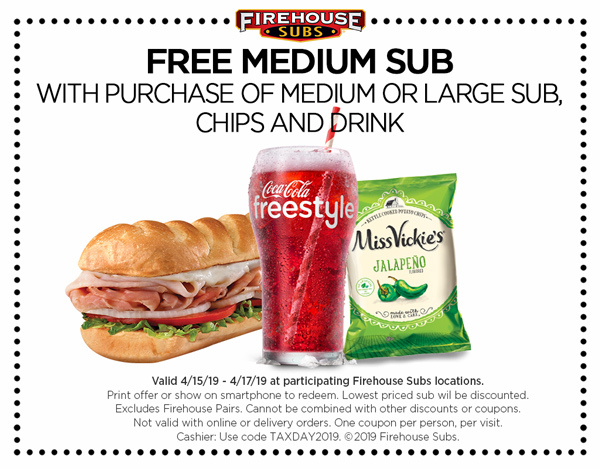 Firehouse Subs: Get a free medium sub when you by a medium or large sub, chips and drink. The offer is valid through April 17 with a coupon. Click here to get the coupon. McDonald’s: The fast-food chain is offering deals at Tax Day deals at select locations. Check with your local location or in the app for deals and coupons. Pizza Hut: Buy a large two-topping pizza for $5.99, online or carry-out. Smoothie King: Get $2 off any smoothie with the rewards app. Tijuana Flats: Get a $5 burrito on Monday.